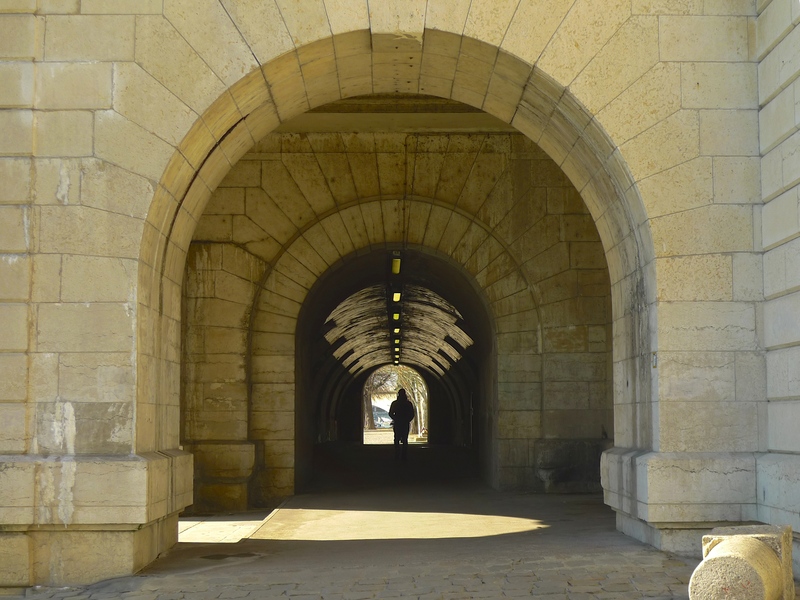 FURTHER RESEARCH FOR my Paris Bridges Project took me to a bridge in the centre of Paris adjacent to the Palais du Louvre, the Pont du Carrousel. Connecting the Quai des Tuileries on the Right Bank to the Quai Voltaire on the Left Bank the reinforced concrete bridge we see today is the second bridge to bear the name Pont du Carrousel. Construction of the first bridge, originally called Pont des Saints-Pères, began in 1831. 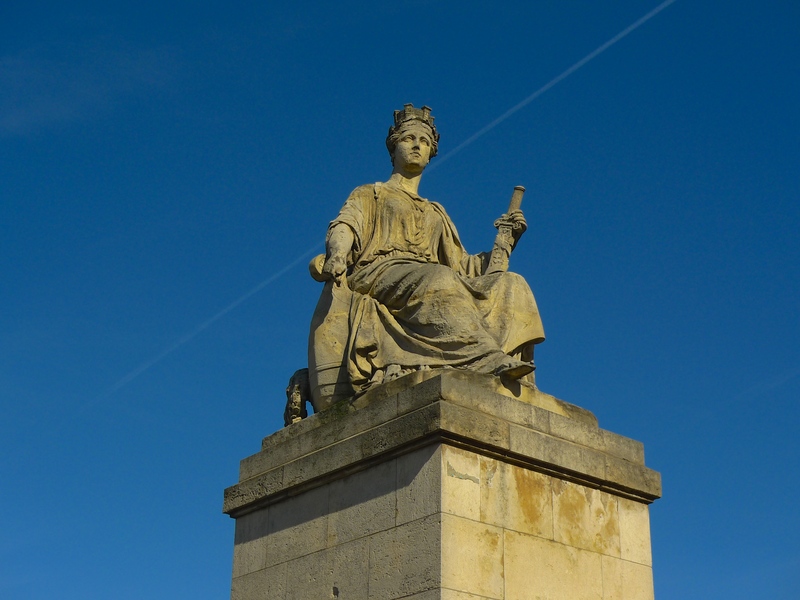 With the work completed the bridge was inaugurated in 1834 by King Louis-Philippe. 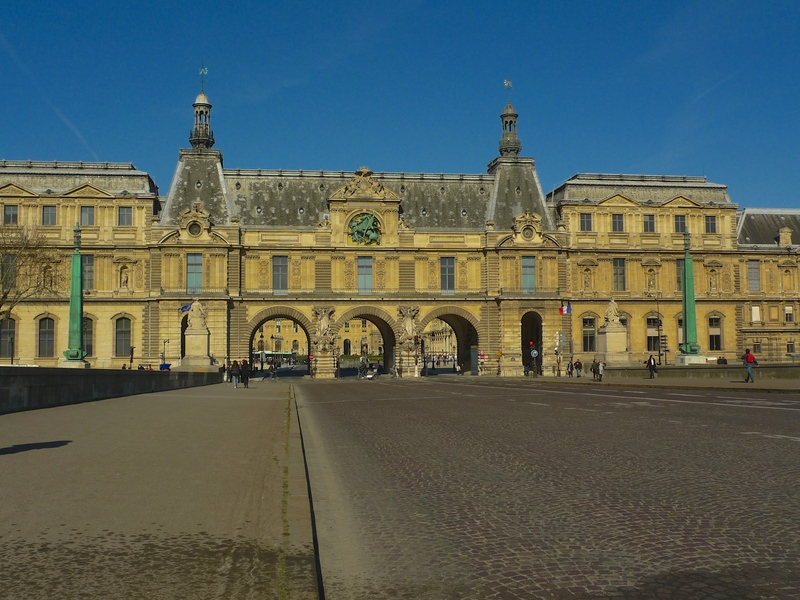 It was renamed Pont du Carrousel because on the Right Bank it faced the Palais du Louvre near to the Arc de Triomphe du Carrousel in the Place du Carrousel, a public square located at the open end of the courtyard of the Palais du Louvre. The Place du Carrousel was the site of the Palais des Tuileries, the Parisian residence of most French monarchs from Henry IV to Napoleon III until it was burnt down during the Paris Commune in 1871. The name, Place du Carrousel, dates back to 1662 when Louis XIV used this space for equine displays of military dressage known as a carrousel, which is why many of today’s fairground carousels still feature horses. 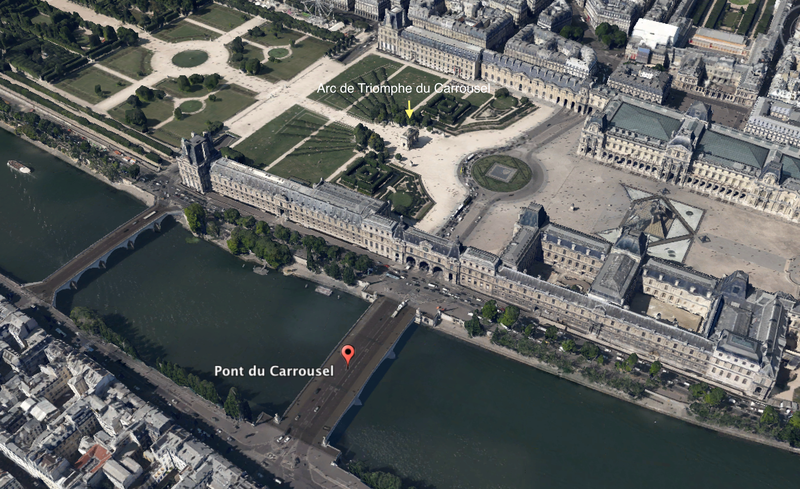 On a more gruesome note, during the French Revolution Place du Carrousel was one of the homes to Madame Guillotine. From 21st August 1792 until 11th May 1793, with two short interruptions, thirty-five people were guillotined in Place du Carrousel. The first Pont du Carrousel, built on an axis connecting the Montparnasse and Saint-Lazare railway stations, was the creation of the French engineer, Antoine-Rémy Polonceau. In the 1830s many Parisian bridges were suspension bridges but in such a prestigious location the use of the towers and cables associated with a suspension bridge was unacceptable and so Polonceau designed a 169 metre long and 11.5 metre wide three-arched bridge made of iron and wood. At each corner of the bridge he erected classic style stone allegorical sculptures by Louis Petitot representing Industry, Abundance, The City of Paris and The Seine. By the turn of the century the Pont du Carrousel was showing its age. Seven decades of continuous use meant that a major restoration was required. In 1906 the wooden elements, including the wooden deck, were replaced with beaten iron but this was not enough to secure the long-term survival of the bridge. 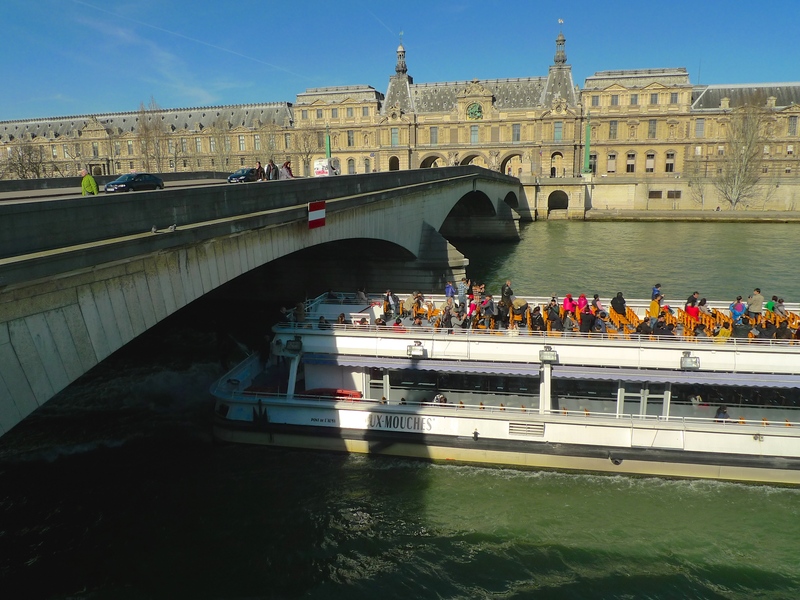 As the twentieth century progressed it became clear that the Pont du Carrousel was too narrow to cope with the increasing flow of traffic over the bridge and too shallow for the larger river traffic to pass underneath it and so drastic action was required. 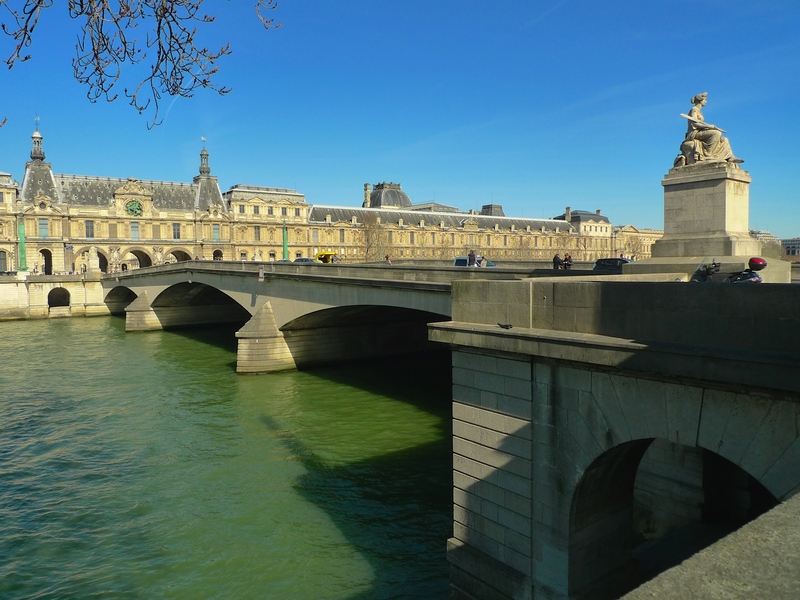 In 1930 it was decided to scrap the first Pont du Carrousel and to build a completely new bridge a little further downstream opposite the gates to the Louvre. The task of designing the new bridge fell to the French architects Gustave Umbdenstock and Georges Tourry and the French engineers Henri Lang and Jacques Morane. A draft design was presented in 1932, the work was authorised by a decree of the State Council of 26 August 1933 and the final green light to proceed was given on May 23, 1935. The new bridge retained the three-arch design of the first bridge but this time it was made from reinforced concrete. 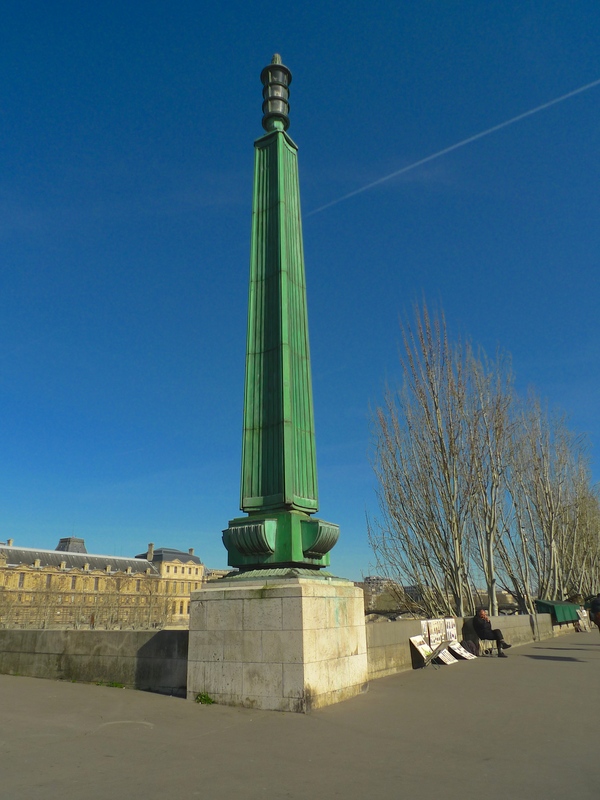 Apart from the original allegorical sculptures by Louis Petitot which were retained, perhaps the most eye-catching feature of the new bridge are the réverbères télescopiques, the Raymond Subes designed telescopic lamps that adorn the bridge. A graduate of l’École Boulle and l’École nationale supérieure des arts décoratifs, Raymond Subes was one of most celebrated French artists specialising in wrought iron during the Art Deco period. His lighting for the bridge, set up in 1946, comprised an ingenious system of telescopic lamps rising from 13 metres in the daytime to 20 metres at night. Unfortunately, the telescopic mechanism broke down shortly after commissioning but it was successfully restored in 1999. 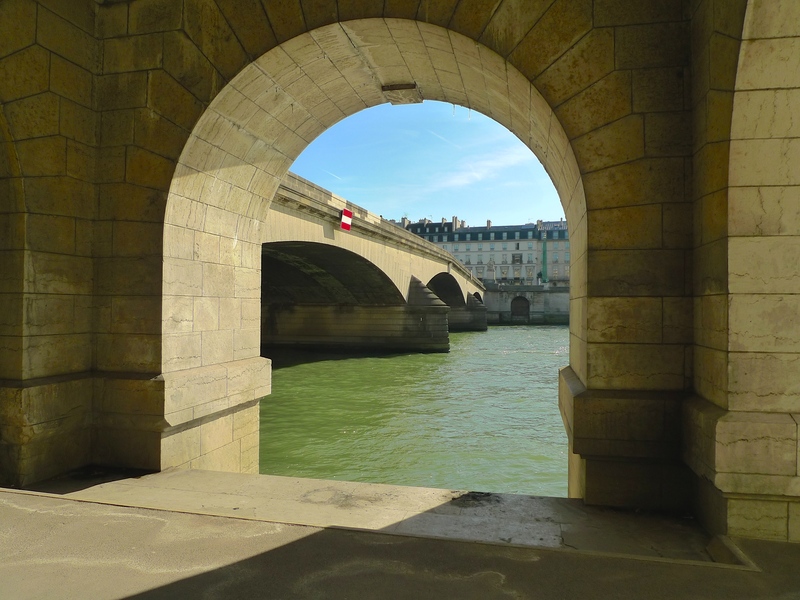 My exploration of the sounds of the Pont du Carrousel began on the bridge. It is sometimes said that the sound of traffic exists only to blight the work of the urban field recordist and after years of recording urban soundscapes in Paris I have some sympathy with that view. 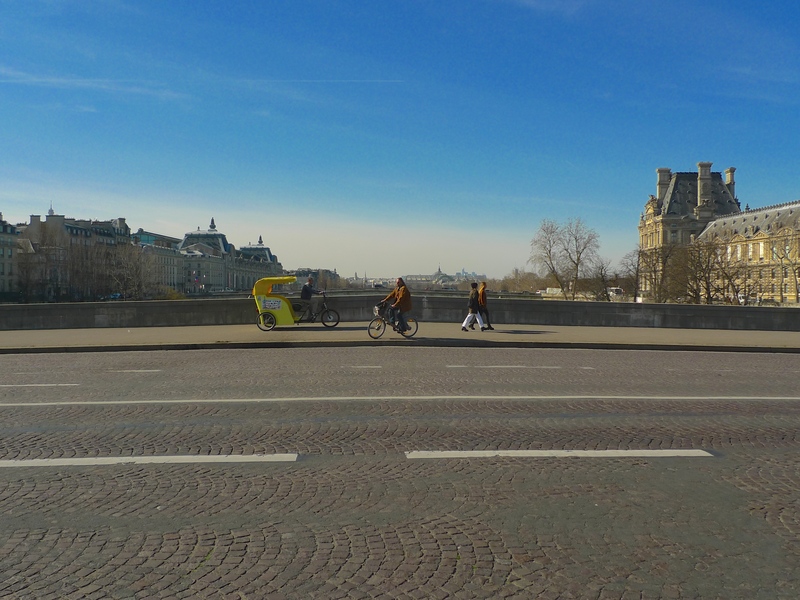 But I also recognise that the sound of traffic is an integral part of every city soundscape so it would be disingenuous if my exploration of the Pont du Carrousel did not feature the sounds of the traffic passing over it. After all, the sounds of the traffic passing over the pavé on this bridge are as much a part of the fabric of the bridge as the reinforced concrete it’s made from. After recording the sounds on the bridge I went to explore the sounds under it. An archway on the Right Bank led me under the bridge from where I found a position from which to record. From here I was not only able to capture the characteristic sounds under the bridge, the tourist boats passing along la Seine and the sounds of people passing under the bridge, but also the sounds of a creaking pontoon permanently tethered to the quai alongside the bridge – the unique sounds of the Pont du Carrousel.